Veronica Mars, the Kickstarter funded movie sequel to the cult television show, is more of the same and that's not a bad thing. Creator/director Rob Thomas and star Kristen Bell have assembled all the familiar hallmarks of the sleuthy detective drama and its seedy world. The film is essentially an extended episode with a season's worth of story lines cleverly mixed into a feature length running time as Bell returns, giving Veronica a more tragic character arc. The first half of the film is largely a reunion tour as Veronica comes back to Neptune visiting old friends and checking up on her ex-boyfriend Logan Echolls (Jason Dohring), who's once again accused of murder. It's not until the inevitable murder conspiracy perks up that things finally pick up half way through the film. The central murder mystery never fully launches off the ground, taking a backseat to high school reunion drama, as it's not even Veronica who really gets to do her own dirty work. Her detective skills are aborted between other distractions as two hours just isn't enough to contain all the snark and drama we were accustomed to. Thomas does everything he can to service fans (who funded the production budget) with winks and nods and cameos aplenty. The film itself is a metaphor for giving up on the character. Just like Veronica can't quit her old detective life after a decade of growth and success away from Neptune, we can't quit watching her antics when she returns. Everything is merely an excuse (an enjoyable one) to get Veronica and her supporting players back to a place where they were. It's amusing but also, flawed. The stakes seem small and strange plot points seem shoehorned in service everyone where a full season would flesh out ancillary stories and character subplots. 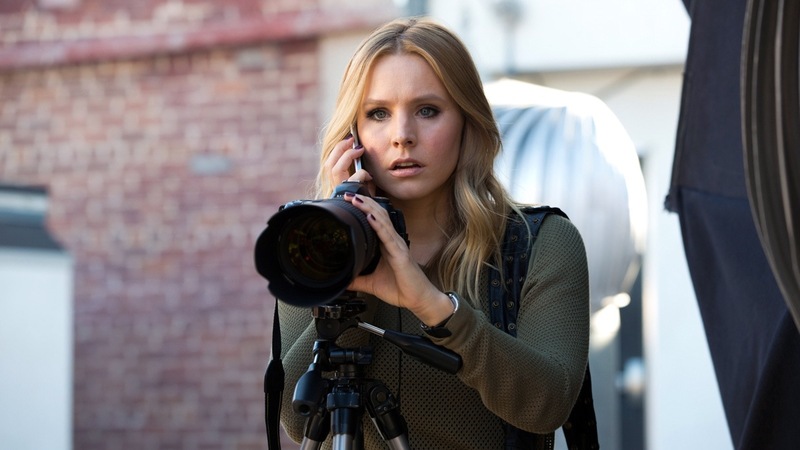 The film version of Veronica Mars lives up to the original, almost too much so. By tying up loose ends and giving closure to most of its colourful cast of characters, Thomas has created a satisfying yet strangely hollow endeavour. It has all the cleverness and self-awareness of the show but falls short of its ability to reinvent itself season and season. It works far more as a long episode introducing a new series than a standalone film or sequel to the series. It's nice revisiting old friends but only for a short time.